The Queen’s Young Leaders Award winners got the opportunity to meet other inspirational young people who are also changing the communities they live in when they visited some Comic Relief-funded projects. During the visits to organisations across London the winners had the chance to hear about the work which they carry out and see the impact they are making. 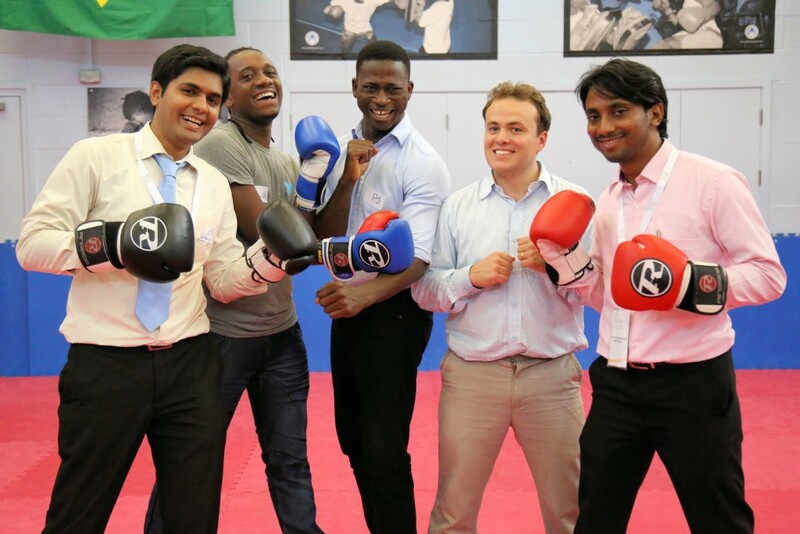 Among the projects they visited were Fight for Peace, which uses boxing and martial arts to engage hard-to-reach young people; The Metro Centre, which provides services to young LGBT people and Young Minds, which supports young people with mental health issues. One group also went to Reprezent FM, the UK’s only radio station presented entirely by young people under 25. During their visit they had the chance to experience a youth station in action and even take part in a live radio show. Some of the young people who are helped by the project also shared their experiences about the difference it has made to their lives. Jeremina, 18, told the Queen’s Young Leaders: “I grew up listening to the radio and I knew that was what I wanted to do, but I had no idea how to get into it. That’s when I heard about Reprezent.